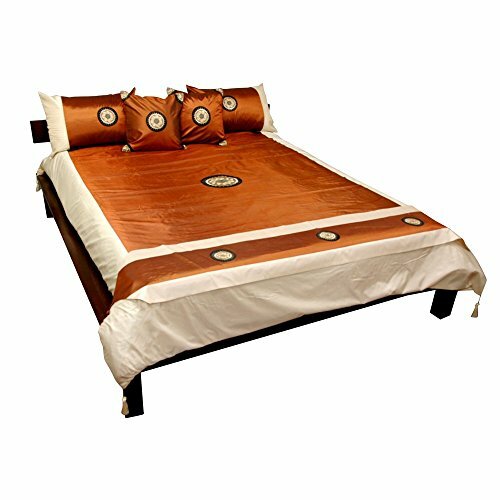 This beautiful bronze bedding set was crafted from refined, high quality Thai silk. The outstanding high luster bronze fabric is beautifully accented by a distinctive two tone design. Society6 Thai Sunrise Comforters King: 104" x 88"
Society6 Two Men Exercising Thai Boxing Silhouette 01 Comforters King: 104" x 88"
Society6 Thai Royal Walls Comforters King: 104" x 88"
Society6 Thai Mandala Comforters King: 104" x 88"
Society6 Thai Sun Yellow Comforters Queen: 88" x 88"
Society6 Poisson Thai Comforters King: 104" x 88"